"Hey, how many oceans are there?" Last night ended as many on State Street do: with the gorging upon of food at places that I wouldn't have had any inclination to visit had I not tossed down a few drinks beforehand. Mad Dogs — which occupies the spot where Hot Spots once lived, and where the Fish and Chippery had before that — was the only place willing to serve my party shortly before two in the morning. Thus, hot dogs and chili fries it was. Like I said, not what I would have done had I been sober, but that wonderful phrase "had I been sober" can be neatly tacked onto the end of so many sentences in order to make objectionable behavior seem acceptable, right? So there we sat, the six of us — three boys, three girls, in the kind of gender balance that makes me happiest — scarfing down things that were either greasy or phallic or both, when the stereotypical drunk girl approached us and asked us to settle a stereotypically drunk argument. "Hey, how many oceans are there?" she demanded. It's a good question. Upon first glance at the Mercator projection of the world that graces our hallway, I'd have to say that Earth has but one ocean, singular and whole as blue, dark blue and light blue flow from one corner the next. What I mean to say is this: One can pick out the Baltic Sea easily, as the land that borders it clearly makes it a self-contained body of water, but where do the molecules of the Pacific Ocean stop and become the ones that belong to those of the Atlantic or Arctic or Indian? This uneducated writer can't say. Apparently the classification of an "ocean" results from an entirely technical process now, though I doubt this was the case back in the days of eye patches, cutlasses and scurvy. Factors like water temperature, particulate matter, inhabiting species and current direction all factor in, likely in ways that use a large calculator, I'd imagine. The big surprise that we found after our cab dropped us off at the house and near internet access is that modern science now regards the world to have a full five oceans, not four. I know, I know. "The Southern"? The name simply can't compare with the wonderfully peaceful-sounding name of the Pacific or the mythology-reminiscent name of the Atlantic. But more importantly, when, exactly, did a bunch of eggheads convene and decide to render years of elementary school geography invalid by creating a fifth ocean? And could the same group of know-it-alls have been the ones to discredit Pluto as a planet? 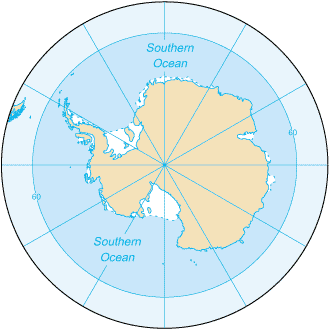 According to the Wikipedia page for The Southern Ocean, the body of water was officially defined as such by the International Hydrographic Organization in 2000, the decision being mostly based on studies of currents. Eggheads. I told you. And word of the change never got word to me. This, friends, is why we have TV shows like Are You Smarter Than a Fifth-Grader Who Stuck a Q-Tip in Too Far? I suppose I'm okay with science's claim that the sea has five distinct regions and not the four I'm used to. After all, I never learned any cute mnemonic device for remembering the names of the oceans. The planets, however, will never be the same. "My very eccentric mother just sent us ninety pizzas" has tragically become "My very egocentric mother just sued Uncle Norman." Drunk girl, if you're reading this now, know that I bothered to look it up. Why did no one tell us about the Southern Ocean???? The Southern Ocean totally should have hired Pluto's publicist, because Pluto's publicist knows what's up.